Hannah Henney first entered the dance scene in a Port Coquitlam studio called Chiasson at the age of three. She trained in tap, jazz, hip hop, lyrical, contemporary, musical theatre and ballet until graduating at age seventeen. She then furthered her training with the Scholarship dance program at Drive Dance Centre, the Source Dance Company and Souldiers Dance Company. During her training, Hannah fell in love with hip hop and began training in many of the original street styles like locking, house, popping and waacking. After spending the past few summers in New York training, performing and battling, she has gained a deeper understanding of hip hop culture and history. Hannah is a very sought after and engaging teacher and choreographer of hip hop, tap and jazz. 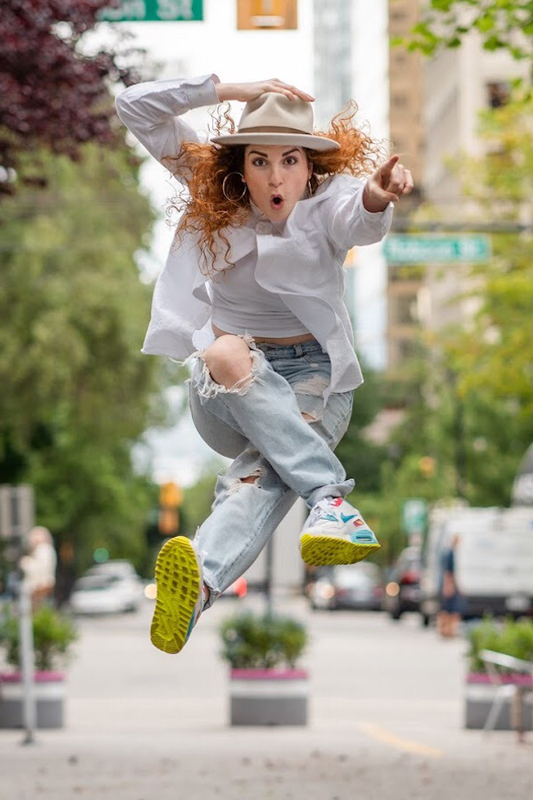 She has also adjudicated many dance competitions throughout the Lower Mainland where loves connecting with the youth and sharing her knowledge and experience with the upcoming generation. Her fire, passion and positivity always shine through whether she is working on set, performing on stage, choreographing a show, or in a studio with her students. Most recently, Hannah has also found a deep passion for acting, and has trained with renowned instructors Chad Rook, Jeb Beach and Shea Hampton in Vancouver. She made her acting debut in a Telus Storyhive webseries called Auditions, and then as the lead role in a short film with director Heather Perluzzo, currently showing in the festival circuit.